Users are required to supply a work email address and re-register their app for Meeting Analytics every 30 days. User’s will be able to see a company’s analytics until that period expires. 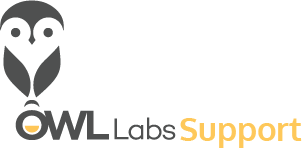 If you would like to remove a user from having access to your Owl’s Meeting Analytics, please contact Owl Labs Support.